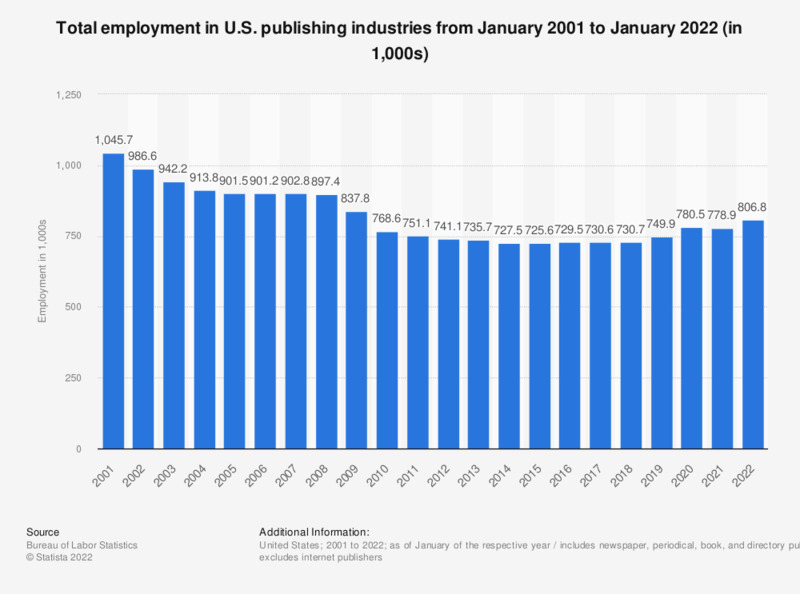 The statistic above presents employment data for the U.S. publishing industries from 2001 to 2019. In January 2019, over 733 thousand people were estimated to be working in print or software publishing companies, down from the 730.5 thousand people recorded in January of the previous year. Figures for 2001 to 2008 come from previous publications.